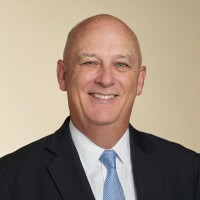 James Reidy practices in the areas of management side labor and employment law with an emphasis on assisting employers in effectively avoiding, or defending against, employment disputes. He represents organizations ranging from multi-national corporations, to closely-held, family-owned businesses, to not-for-profit entities and public sector employers. Since joining the firm in 1989, Jim has expanded an already well-established employment law practice group. This group is now recognized as one of the best labor and employment practices in Northern New England. He regularly writes articles and presents seminars on a wide range of employment law topics. He is frequently asked by the media, business groups and human resources associations to comment on breaking news and recent developments in labor and employment law. He is the moderator of NHLABORNET, the popular Internet discussion group for human resource professionals in New Hampshire. Jim is also the creator and serves as the managing editor of Good Company, Sheehan Phinney’s quarterly e-newsletter, which features articles on legal developments and best practices in business. 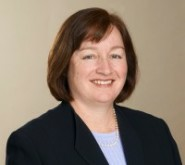 Karen Whitley is a member of the Labor & Employment and Litigation Practice Groups. She focuses her practice on management-side employment litigation and counseling, including discrimination, wage and hour, and restrictive covenant proceedings. Karen values working closely with HR professionals and in-house counsel to develop a practical business approach to thorny employment law issues. Karen advises employers on legal compliance in all phases of the employment relationship, conducts sensitive internal investigations, and provides proactive training to management and staff on cutting edge issues. She provides employment law advice arising from mergers and acquisitions, and helps employers protect their proprietary data through the enforcement of restrictive covenants and other policies. Karen maintains an active practice before state anti-discrimination agencies and trial courts on behalf of private employers in the banking, insurance, recruiting, education, hospitality, manufacturing, and pharmaceutical industries. She has been a trusted advisor to small start-up businesses, mid-size organizations, and multi-national companies to ensure adherence with numerous federal and state laws, including the FLSA, ADA, ACA, FMLA, WARN Act, and COBRA. New Hampshire Employment Law Letter provides a three-part subscription package to deliver the practical, hands-on advice you need to manage your New Hampshire workforce safely and in compliance with New Hampshire and federal laws. That's because the newsletter's editors are New Hampshire attorneys who defend and counsel employers statewide. Each issue also keeps you on top of New Hampshire court and U.S. Supreme Court decisions that affect your workforce, all reported with New Hampshire's local laws and policies in mind. You get the information you need to stay in business — and out of the courtroom. New Hampshire Employment Law Letter — 12 monthly issues mailed to you and also available online. (Digital-only versions are available with an HRLaws subscription) You also receive email notifications once a month and periodic News Alert by email as needed. GUARANTEE: Your 100% satisfaction is guaranteed. If for any reason you are not completely satisfied with New Hampshire Employment Law Letter, simply let us know within 90 days, and we will issue you a complete refund.